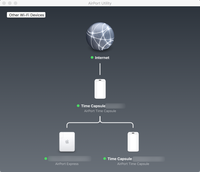 My first clue that there was a problem was when my Mac's Notification Center popped up a message stating it had been 10 days since the last Time Capsule backup. 10 days! That is a lot of work to potentially be lost! Needless to say, I panicked and immediately proceeded to investigate all the while wondering in the back of my mind why it took 10 days to let me know and where do I change that setting? But first things first, getting backups working again. TLDR; Delete any Back to My Mac entries and update. 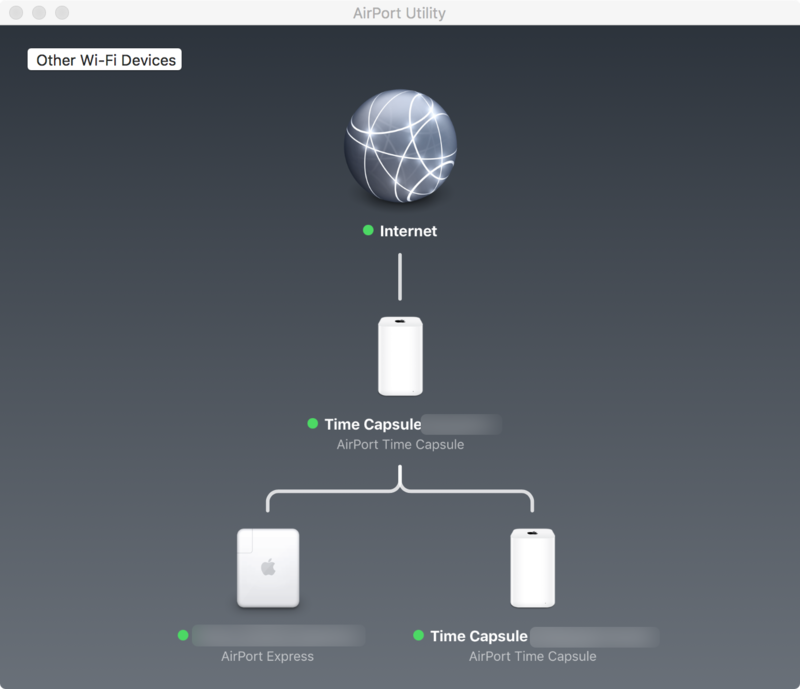 So I opened the AirPort Utility to see what I could see which was lots of yellow. Not encouraging. I tried the usual power down restarts and soft resets. It was time to Google. Where after about 5 minutes, I found this. But in case it disappears or you want pretty pictures, here is the fix that worked for me. 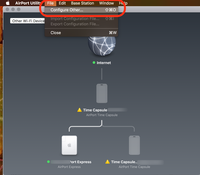 Open the AirPort Utility - Using Finder, go to Applications then Utilities the find and double click on AirPort Utility. Select File, Configure Other... then enter the internet address and password for the Time Capsule. You had those written down or memorized right? 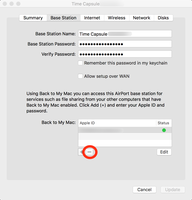 Select the tab for ..., select the Back to My Mac entry then the minus (-) button to remove, then Update button to restart the Time Capsule. Congratulations! Assuming you made it this far, once the Time Capsule has restarted and re-appeared in the utility, you should see all green. Yes that is an almost 10 year old AirPort Express still going strong and playing music the old fashioned way - by wires (sort of).